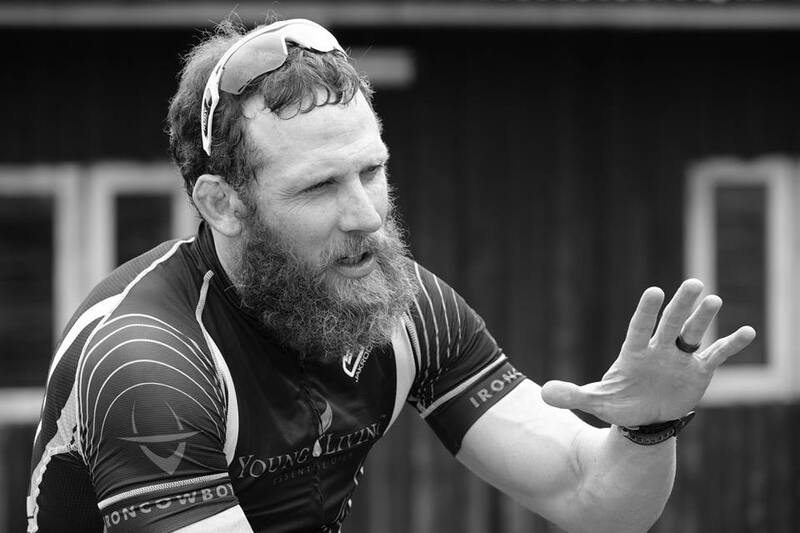 Today on the Doc On the Run Podcast we have a truly inspirational guest: the Iron Cowboy, James Lawrence who is famous for settling two world records: both the number of Half Iron Distance triathlons done in one year and then in 2012 he also set a new world record for the number of full Iron Distance triathlons done in one year. Then, to top it all of in 2015 he did 50 Ironman distance triathlons in 50 days, and in all 50 states! Dr. Segler: James, welcome to the show! James Lawrence: Thanks doc, thanks for having me. Dr. Segler: I’m really really excited to have you here. This is pretty incredible. I have done some Ironman triathlons, but the most I have ever done in a year was four, and I thought that was going to kill me. So I can’t imagine doing fifty of them in fifty states in fifty days. I mean it’s just unbelievable, really and truly. It’s funny because we all talk about this when we’re planning races, we talk about how difficult it is when you do an Ironman race overseas. If you’re on the West Coast and you’re doing it in Florida, the whole time change is kind of a killer. But that’s not all you’ve done, you have done all these other things, too. Recently in-fact. We all know about the 50 Ironman’s in 50 states in 50 days. But I understand that more recently you went out and decided to climb Mt. 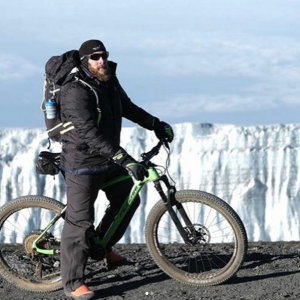 Kilimanjaro on your mountain bike. 19,341 feet on a bike. And you also just got back from running 235 miles through Greece. Can you share a little about what really inspires you? What is your inspiration behind each of these events? 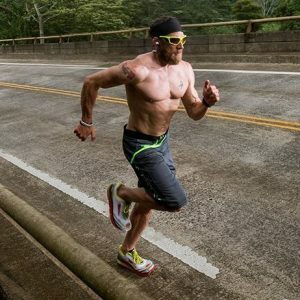 James Lawrence: Where my journey started was I was working for a non-profit called “In Our Own Quiet Way” and the half Ironman World record was kind of an accident. I was just going out trying to raise money for the charity. I just started out to try to bring some funds into the charity and that kind of kick started the whole journey. Every time I do something like this, we try to associate a charity or a cause with it. I always like to try to push boundaries and push my mental and physical limits. A lot of people don’t know but I’ve got 5 kids and I’m always trying to set examples to them as far as setting goals and working hard and sticking to it and seeing things through. For Mt. Kilimanjaro we we’re raising money for an orphanage there in Tanzania. In terms of the Run Through Greece that we just did, it re-enacted the time in history at 480 BC when Leonidas took his warriors and marched the trek from Sparta to Thermopylae before the huge battle. It was really really cool to go through that. We did it with a bunch of NAVY Seals and a bunch of civilians and it was to raise money for the Glen Doherty Foundation and what that does is that it really helps transition guys and gals from the military, NAVY Seals and all those different branches into corporate world. These guys and girls have phenomenal skill sets. They’re leaders, they’re intelligent and then they just have a hard time transitioning out of a very specific task and skills sets that they’ve developed. But they are just born leaders and they are super smart. It’s a great foundation that helps those guys transition into the rest of their lives. Dr. Segler: That’s interesting. It sounds like obviously you’ve got some really great causes but I think these things that you undertake always bring attention and so with the group that you’re training with and then you went to do this whole run across Greece. How did you coordinate with the Seals and all of the people that joined you? James Lawrence: It started out or advertised as an official race. It’s called the 300 of Sparta and it’s a really extreme race so it kind of didn’t appeal to the average weekend warrior. The NAVY Seals were planning to do a race inside the race and then things kind of unfolded and ended up cancelling the event but then we kind of did a test run with the group to see if logistics and everything work. We were kind of the first ones to do it and I think they’re planning to do it annually now to see if they can make it work. It was definitely a unique experience and the best part of it is that the 20 guys that we have there collectively, we were able to raise $300,000 for the cause. It was really really cool to be part of that. Dr. Segler: That is fantastic! Wow! Tell me about your Kilimanjaro trip. One of my friends went a couple of years ago to climb Kilimanjaro. It’s really something right? It’s not a simple climb first of all and it’s a big mountain and it’s not that easy to get to and the climb itself is a big ordeal for most people. But you decided to do it on your own. Can you tell us about that? James Lawrence: Yeah! I mean I’m not a mountaineer. I’m not a climber. But it really is a spectacular mountain and it’s in the category of one of the easier ones to do. A guy from California, him and his son wanted to take on this challenge and they invited me along to do it. I joined up with them. It was a very different experience. The mountain itself goes through four different major climate changes, the rainforest, the kind of desert area and the volcanic is the last section at the top and you’re dealing with really really cold temperatures over the last 4 miles. It was a lot of fun. What really stood out to me was how kind and simple the people were over there and how happy they really are. They have nothing. It’s crazy how many years behind they are as far as technology and system and ways to do things. But it was really cool to see how they’re still super happy. They love to sing and they love to dance. It was just really neat to be part of that and taken out of our superfast paced life and put into more of that atmosphere. Dr. Segler: Another one of your primary missions is to fuel the fight against obesity. Can you tell us about how that got started? James Lawrence: Yeah! We talked about how I have 5 kids and I go to their schools all the time. I drop them off, pick them up and active in the school system and I look back on my school days and I could remember the name of the 1, may be 2, may be 3 kids that had a weight problem and now it’s 50% or more of the class. It’s just really jumped out of me. We try to do a lot of stuff with the kids. We keep them healthy. 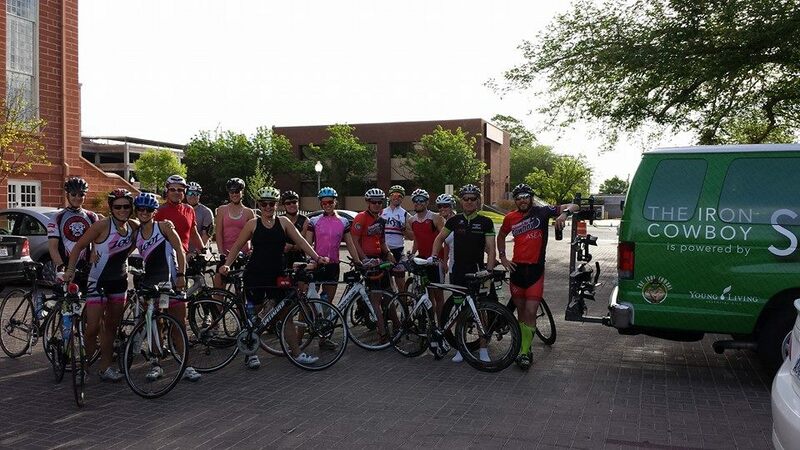 My wife and I try to be active role models to the kids in our community and so for the 50 Ironman campaign we wanted to go across the country and really involve people and try to get them moving again. As part of the Ironman every single day we did structured 5 kids and the public came out and joined us and all of that money went to the foundation. I go around now speaking to corporations and groups and it’s always interesting to see the dynamic of the individuals in the group and who comes up and talks to me afterward and how it had impact in them. We’re trying to just to continue to encourage people to move their bodies and eat better foods and just get back to more mainstream things and just simple things that can have a huge impact on their health. Obesity and the things that we are putting in our body in our sedentary nature and it’s the leading cause of death. It’s the lead contributor to cancers and diabetes and strokes and all those things. It all stems from our lack of activity and the quality and the amounts of food that we put in our bodies. Dr. Segler: It’s true. It’s exactly the same way for me. When I was in elementary school that there was 1 kid that was obese and that was it, 1. Now it is true, it seems like half of elementary kids are heading for obesity.. It’s really sad and something’s got to be changed right? James Lawrence: The reason that it’s sad and tragic it’s because it’s the fault of the parents. The children are a product of their environments. I don’t know any 2,3,4,5,6 year olds that jumps in his own car and drives to the supermarkets and picks his own groceries and prepares it for himself. I don’t know a single one. It’s our responsibility. We have these kids, we brought them into the world and it’s our responsibility to not poison them. It’s not their fault. Dr. Segler: Obviously, you serve as a role model for your kids but that’s very difficult when you have kids and you’re training because you said you want to be a role model. You want to take on this responsibility and be there to prepare good food for them and be involved with them and all that. But it is difficult balance all that. When I was doing my largest blocks of Ironman training (which was just 4 Ironman races in one year), my son was about 3 or 4 years old. It took a lot of creativity to fit the workouts in. Some days I would actually take him to the playground put him on the play structure and just let him play while I ran circles around the playground. I would usually get in somewhere between eight and 15 miles of circles. On other days I would put him on this seat on the front of my mountain bike and then ride from San Francisco across the Golden Gate Bridge and around Tiburon, let him play on the playground over there and then we would ride back. It was actually super fun because he was right in front of me and we would talk about all of the things that we would see along the way. But that was just one kid. At that time I only had one kid. It was pretty easy and it was fun. I understand you have four daughters and a son. So I’m curious how you fit in all of the time required to be a husband and a father and an athlete. Can you share a little bit about that with our listeners? James Lawrence: The younger they are, the more difficult that is because they’re home. You have to have a high tolerance for monotony I guess. You just have to adjust your schedule. I would go on runs and the kids would ride on their bikes beside me. When you do it that way and you involve them in the process. They’re not resentful because they’re part of it and then also you have to be willing to get up earlier. My wife would get up when she’s trying for her Ironman, she was up at 3:30 – 4:00 and that was something that she was willing to do in order to not have an impact with the time the kids. I’ve got one of my one of my best friends who is a second grade school teacher and he trains full time for not Ironman’s and he’ll do it. 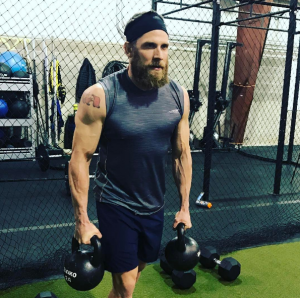 He’ll put is kids down and then he will train 11:00 – 12:00 at night and then wake up and do an early session in the morning as well and so there’s time in a day for what you want to get them and obviously there are sacrifices for certain things and sometimes that’s sleep and sometimes it’s other things but it’s whatever you make a priority and if you choose to involve your kids in the process then it can be a really good thing because they’re sponsors. They’re looking at everything you’re doing that they understand and get hard work and sacrifice and then when they’re really young of course it’s just good time with mom or dad. Dr. Segler: Yes they do, they do enjoy that. As an example, with my son, I think it was last year. But we’re at the lake and it was on the dock and he said “Daddy, I think I can swim across the lake” and I said “Okay” I just sort of like “Okay, well whatever.” Sort of like “I’m going to be an astronaut” or something. I turned around and he was three quarters of the way across the lake. No life preserver or anything else. He was just swimming across the lake. Of course, I thought “Well this could be serious if he gets into trouble.” I can swim but he’s now quite all the way away across the lake. But they do emulate our behavior and they just get that whole attitude. You really can accomplish anything as long as you’re willing to put in the work and the effort and I think that that’s certainly a valuable lesson for them. But shifting gears a little bit back to your 50 50 50 event. I’m curious about this because I have a sports medicine practice focused primarily on helping injured runners run. If you want to run you have to stay healthy. That’s just a given. If you get injured it becomes very difficult to not only run at your desired pace or to even to accomplish your goals . 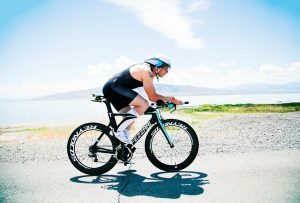 You’ve set out at to accomplish from really audacious goals in the last few years and not just the world records in the 70.3 Ironman distance in a year but then this whole 50, 50 and 50 event. As an endurance athletes, we all track metrics of all different kinds and whether it’s heart rate, power output, average speed, etc. But I noticed on your website, you kept track of some really interesting things and even posted it on your website. Not only like calories burned but also caloric intake and how many how many calories you took in yesterday during this event and all that sort of stuff, but even you recorded 17 avocados, how many 110 bananas, 110 potatoes and all this stuff and it’s interesting because you’re tracking it, so you are paying attention. Most athletes. If I asked them “What did you eat yesterday?” They have to really think about it to think about what they had. I have asked “How much in terms of volume?” They usually can not tell me. They don’t know. And these are all people who are training for marathons and Ironman triathlons. They may have a solid understanding to nutrition. But they’re not tracking it. During your events you were just tracking nutrition. You talked about recovery in terms of these metrics you tracked as well. So I think it would be really great if you could just share with our listeners about these different metrics that you track in terms of food intake, caloric intake, different methods of recovery that you use throughout these 50 days in a row and how do you think these things really help promote healing and prevent injury throughout that 50 Ironman in 50 days event. I always find that interesting that people jump on these food/diet trends but they’re not keeping track of or have a knowledge based on what they’re currently doing. To be successful in anything I think you need to know what you’re up against and then how to overcome it and make changes and that all comes down to tracking. It’s not fun, it’s not glamorous but it’s super super effective and I think it’s very insightful or more than anything else, it teaches us things. We don’t realize the effect and how it all adds up on top of each other. But with 50, we thought we had a good game plan of what we’re going to eat and that we were just going to consume. We were trying to consume many quality food as we could because we’re trying to promote beat childhood obesity. I lost about seven pounds of the first week. We realized we needed to really go back to start tracking this and what you’re eating and everything just got so chaotic. We lost track of it really quick. So what I did is I took, I have my phone with me the whole time and every time I opened anything or eat anything, I had to take a picture and send it to a designated person and then that person would upload it. That’s how we decided to effectively track my nutrition. I got really really lean but I was able to maintain a lot of my muscle and I finished the same weight that I started. My body composition changed but I didn’t weather away to nothing and it was because we did. We started tracking and realizing “Okay you need more protein or you need more carbs or you need more fats” and so we do the best we could with what we had. The behind the scenes of the thing is nuts which is why my book was getting really great views because it just launched and the feedback we’re getting is people are really enjoying to see what it really took to do this in the behind the scenes stories and it really came down to us tracking it and be meticulous with it and it’s really, it’s difficult, it’s hard to eat 10,000 – 12,000 calories a day on the move because I didn’t have one Gu pack. I had to be fueling with food all day long because I had to continue with 1, 2, 3, 10 days ahead and then we tracked my heart rate, and my power, and my paces and all those things and we were tracking the different things that I was feeling in my body, different ailments, different pain cycles and that was super interesting for us to see. I was always happy when I wasn’t feeling the same pain more than 2 or 3 days in a row. That shift, it was some something else in my body and that meant my body, my mind we’re adapting and evolving as we progressed through this. If you’ve got something that that’s bugging you consistently over long periods that only means that you’re right. I was super happy that the pain was was moving around. I mean obviously had certain discomforts that were constant just because of the nature of what I was doing. But for the most part it’s great to see ailments moving around my body. People always ask me “What’s the one thing you did there that insured your successful recovery?” and the answer is it’s not one thing. Success comes from doing a lot of little things consistently over a long period of time and so it was a myriad of 10-20 different things that I did for recovery that it would need to continue to move and to keep on this journey and like you said, we did the compression boots, we did the compression clothing, we did electric stand. My chiropractor would come in every weekend, we would cold laser, cold laser acupuncture. We do live manipulation we do scraping, so many different things. It’s just that people unfortunately want one answer and there’s just so many things that goes into being a successful actor on the big screen doesn’t just work on their lines. They’re working with voice coaches and posture people and here’s so many different things that they’re working on in order to be a high-level actor. As athletes, we can’t just focus on one thing, we’ve got to really draw out all of our weaknesses and make those our strengths and then really continue to work on the strength to do all those little things. People needed to get into the mindset of preventative instead of problem solving down the road, you have to do both. But if your whole game plan is to just problem solve, it’s kind of stuck up on you. You have to be preventative and then problem solve when issues present themselves. Dr. Segler: It’s true, we all want one answer, we all want to think about one thing. Actors, musicians they all do this. In fact I saw this patient in his home who is famous, a rock star. He’s a famous musician. I was at his home and he was telling me “Okay we need to wrap this up pretty soon here. I think I got it. I think I know what to do now.” We had talked about what do to run without pain. He said “Okay I’ve got to go because in a minute my piano teacher is going to be here.”. But this guy is a base player in a rock band. I said “That’s interesting, I didn’t know you can play piano” he said “Well I don’t play piano in the band but I’m always trying to perfect my craft and that means doing anything that’s associated with my musical ability.” You would think somebody that’s a base player in a rock band, who’s famous would just play base guitar. But we talk about this list of things that can contribute to their success in faster healing. Then they can choose how many of those approaches they can incorporate into the recovery. But the more stuff they do, the faster it will get them accelerated in the right direction. With your 50 Ironman in 50 days event, obviously you were doing many different things to keep you on track so the you didn’t break during this event. Like you said in the end not only did you finish it but you were basically the same body with just a slightly different composition. Everything comes down to a muscular endurance. If you’re training your cardiovascular system will align itself. It will be a by-product of what you’re doing and so just by training, your heart rate and cardiovascular system will put itself in check. I guarantee you, 95% weekend warriors or bucket list Ironman guys, your limiter is going to be your muscles, the amount of muscular endurance that you can produce. Everybody always says this “I had a great bike but I had to walk the run.” Well you didn’t have a great bike because you pushed too hard and you suffered on the run. It was all because you didn’t have the proper muscles in order to do it and it’s because they don’t to the weight training and heart rate shouldn’t be your first metrics, it should be your pace, your running power on the bike. Dr. Segler: It’s not simple. Part of it is I think, when you talk about people who have that idea of just doing an Ironman, they realize it’s a pretty big undertaking. I know this was true for me when I started racing Ironman. There’s so much information. There’s all this stuff about training. Then there’s all this technical stuff about equipment and speed suits and bikes and helmets and power meters and everything else. I think it becomes extremely overwhelming. You don’t need a more aero set of wheels, you need to know how to create power consistently for hours. You need to know exactly how many watts you can pump out and still run a marathon. Aero wheels won’t make you run that marathon. James Lawrence: No they won’t. Back a decade ago, power was a huge cost $1,000 to $5,000. But today you can get you can get power meters for less than $500. It’s really affordable now. Like I said I coached for a long time and my athletes who have used power they’ll out perform the ones that don’t use power, hands down every single time. That’s because power is an unbiased form of feedback. Your heart rate can fluctuate so drastically, adrenaline, caffeine probably how long it’s been since your last meal, your feelings, temperature outside, your mood, your stress levels. Your heart rate can fluctuate 5-15 beats. That puts you into a different zone and now you don’t even know what you’re doing and so It’s unfortunate, it’s unfortunate and fortunate. The Internet and the in-flow of information is incredible but it’s also super confusing. My advice to people is to find a credible source and stick with it. I’m not saying that anybody has to go get a coach. We advertise online and there’s always those guys that criticized “Oh you’re just trying to take people’s money. But that’s just not true. I say, “No, all of our clients are extremely satisfied.” And it’s because Ironman racing has been incredibly steep learning curve. You may be a seasoned athlete and understand these things and you’re currently taking for granted the wealth of information that you’ve accumulated over the past however long you’ve been racing. But to the newer athlete, it’s not common knowledge. The learning-curve is truly steep and with Ironman being kind of faddish, people want to jump in on the fads. That learning curve is steep and you really need to find someone that you trust to help you get through this. I had someone sent me a message, just this morning. “Hey I’m doing an Ironman at the end of July. My first one, what’s your best piece of advice for me?” and my response was slow down, enjoy the day, you only get one chance to do your first Ironman and I hate seeing people invest time, money, effort, sacrifice, all this stuff to go out and have a miserable experience because they didn’t invest maybe a little bit more to ensure themselves a better experience because as coaches. This being in the sport for a long time and y9u, in fact being a doctor and an expert in the field. You take away that worry of am I doing this right, are we doing enough or my doing too little, I mean everything I do in my life I look to mentors and coaches. There’s something to be said about other people having experiences and sharing that knowledge with you. They can only help or benefit you. Dr. Segler: That’s right! I was self-coached for a long time. I got to be pretty fast but that’s because I put in years of time learning all this stuff, because I see athletes and treat athletes. So I was interested to learn it all. But it took years to do that. After gaining years of experience, of course I could get through an Ironman without all of those worries that plague new athletes because I knew what would work and what would not work. I knew how much fluid I had to drink. I knew what I needed to eat. I knew how much power I could put out and still run. In fact even one time sort of on a dare, I did an Ironman with zero training for four months before the event. When that was over with I was discussing that with my sister you know saying “Well yeah I did it” and she said “Well yeah but everybody can’t do that” and it’s not because of my physiology is because I had many Ironman races I completed and I knew what worked and knew wouldn’t work. So I knew about that so I had the nutrition part down that you want to train have a nutrition part down ahead the hydration part down. I had a power meter, I knew for sure as I go all day at this wattage and still run and so it’s not that difficult. If you know how fast is fast, and how slow is slow enough, then there’s no possible way you can run out of gas. It’s easy to do it but that’s where experience comes i. The coach has all of that experience and even more. Unlike one individual who’s done a whole bunch of Ironman races, somebody who has been coaching athletes has the cumulative experience of all of their athletes that they’ve ever trained. So although I have a lot of experience and I can give some tips to people on what they can do, I could race for the rest of my life and not have as much cumulative experiences than somebody that’s been coaching groups of athletes to make it through these races. That’s one of the big keys to realize. Somebody like you obviously, who has this sort of special talent of working with athletes, and not just getting them to an Ironman race and completing but also helping them out of obesity and in the Iron distance shape and fitness. 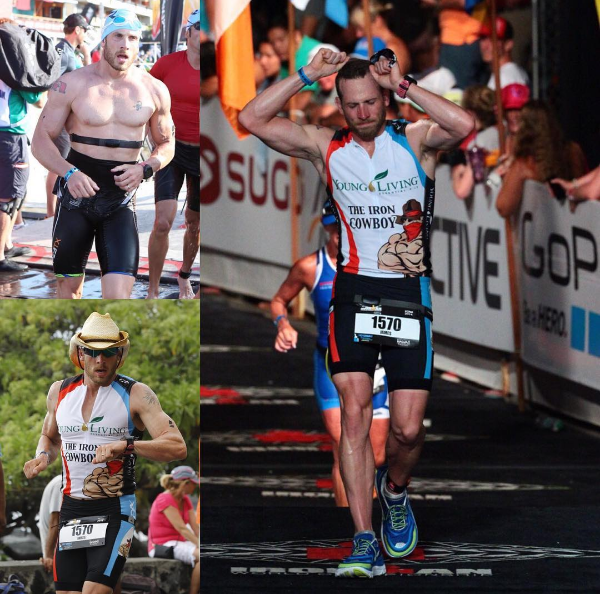 I actually read a quote from one your athletes and he said “Six months, all it took was six months of training with team Iron cowboy to go from of fat guy who couldn’t run a mile to a less fat podium winning triathlete.” Truthfully to me that sounds as outlandish as doing 50 Ironmans in 50 days. So maybe you can tell us some more about that like why you’ve really taken up coaching with athletes and your approach with them. James Lawrence: I started coaching in 2010 just because I had a lot of experience. I really like what you said. Now I’ve done 87 Ironmans and over 50 half Ironmans which is a ton of hands on experience. But accumulatively if you take how many Ironmans and half Ironmans my athletes have finished and that I’ve got them through and well into the hundreds. I love that perspective but really you take an athlete who is trying to figure things out and your typical athlete’s going to a do a lot of over training. They’re going to do a lot of effort in the wrong zones. They’re not going to be paying attention to the recovery aspect of things. You see successful people in the business world that’s work harder and achieve more and it’s kind of float over into the athletic world that you have to work harder and you do but has to be in different areas. You can’t just keep pushing your body and expect it to respond. You have to take your body through a process of stress recover and adapt and most people miss out on that recover phase. One of my assistant coaches, her name is Carlee and I’ve coached her for years and I always thought of her wanting to do more and more and not recovering and now that we’ve got her understanding how it all works and now that she’s a coach and has learned a ton, seen how it works with different athletes. She’s really applied it to her own training and then we had a conversation the other day where she was like “My run just isn’t getting faster” and then she goes “In the old days I would’ve added in more speed work, done more long runs and pushed the pace even harder in order to get faster” and she never would see results and I said “I want you over the next 3-4 months to really stick to what you’ve learned and how we coach meaning 80% zone 1, zone 2 recovery and then the other 20% is going to be your intervals, your high intensity” and she did and what happens is we never know when our bodies because we’re all unique individuals are going to truly adapt and evolve from the training. But you have to give it that respect to recover and the opportunity to adapt and just two weeks ago she went my mile average repeats dropped 30 seconds per mile and her body just finally started to absorb the work because she was giving it the recovery that it needed. So by staying in the course and her old mindset would have been and instead she put more focus and attention a little bit on the weight room and more on recovery and all of a little things that she need to be doing, staying to the percentages and everything that we had laid out for her and then she’s really starting to click and come together. I did a bike ride with her for four hours last Saturday and it was just a completely different athlete from 6-8 months ago. Dr. Segler: Well that’s a big thing because with your coach, you get access to all this experience, but you have to trust your coach. James Lawrence: The bigger thing is trusting the timeframe in order to achieve a big goal. People don’t respect the time it takes for your body to change and above you’re talking about 140 miles if we’re talking about Ironman distance race in an efficient manner and then trying to speed that up. But people just go out and they start work on the coach and 2-3 months they don’t see the results that they wanted. You know what, your body takes time to adapt and evolve and you need to really stick with the program and so I think it’s almost unfair when athletes go on with the coach and switch and jump around. If it’s true, you found a good one and do not jump around and jump around. Just stick with the coach and interview them first. Find out what their philosophies are, what their beliefs are, what their experiences, how their athletes are doing, all those things and do your due diligence on a coach and what they believe and how much experience they have. But then just really stick with it. Trustthem and go on and on the process. I would throw out a guarantee, a full on guarantee if any athlete anywhere in the world whatever level you’re at, comes and joins a quality coaching staff that they trust and believes and sticks with them for a year and does what they say. If any of my athletes come to me after a year can prove to me and show me all their data for the past year if they have not improved significantly, I’ll give you all your money back. I believe in it so wholeheartedly that consistency over a long period of time will absolutely breed results. Dr. Segler: Well that’s it! I think a lot of people, they decide that they’re looking for the magical coach. The person with the great answer and they’re looking for a shortcut and as you said it takes time and there’s a famous quote that usually the business world but it’s that “A shortcut is the fastest way to get someplace you don’t want to go” and but in spite of that it actually seems like you have developed some special shortcuts that kind of help these beginning athletes, people trying to get out of obesity so to get from that place of inactivity and obesity and endurance fitness and better health. So what can you tell us about that? James Lawrence: Yeah the biggest thing is just getting them moving and we focus a lot. I try to get my athletes to focus a lot of initially on food especially on the bigger side of things. Getting their weight down is key to keeping them health but just get them moving and building the confidence in what they’re doing and you’re asking about what shortcut I’m using, there are truly no shortcuts and I talked to my assets athletes. I’m like “Look, how committed are you? We’re not training for Ironman, we’re trying to give your life back and Ironman is going to be a milestone in the journey that you’re on. Are you are you doing this to do Ironman or you’re doing this to change your life?” and Ironman is a brand. It’s a one day activity and it’s a great motivator for people and it’s a great thing to put people on the path but I’m not impressed with the individual that has, they’re on the weight loss journey and then accomplishes an Ironman and then reverts right back to their old habits and puts the weight back on. What impresses me is when an individual truly makes a life change, and trains for Ironman and does an Ironman and then goes into sustainable healthy living, that’s what impresses me. They truly absorb what they’re doing, learns, educates themselves and makes the long-term beneficial change. Yes I’m proud of the person that loses the weight but it is more impressive when they keep it off and maintain that. Yes absolutely, we all have ups and downs including myself. We all have struggles but it’s how long you revert back to the old things. I mean how quickly you can get back up and be consistent again, that’s what impresses me the most and there are no shortcuts. Dr. Segler: Right and that’s just it I mean I have a friend who is one of those people you mentioned like it she’s one the most inspiring people I’ve ever met for sure and when I first met her she told me that her goal was to do in Ironman and to lose a hundred pounds before she started the race and but the truth is that I think the overwhelming majority of people who set a goal like that will come pretty close to it. They lose an enormous amount of weight and then the end up back at their same weight at some point. But she was different and she was severely dedicated let’s say and just early on in her journey I actually decided I was going to lead a bike ride and basically what I was going to do was this bike ride going over a mountain but it’s a relatively difficult bike ride, it’s almost 4,000 feet to climb in and it’s like almost 40 miles long. So we were going to do it twice and so I posted on SF Tri website and said you can come for the first loop or the second loop. The first one’s going to start at this time, the second one starts at that time. So my friend Rich and I, Rich was the person I rode with the most. Basically rich and I decided we were going to do of course both loops and ride together and keep all the people together and so she showed up and she was the only person other than me and Rich who did both loops, the only one. There were tons of people that showed up for either the early loop or the later one but she was the only want that did both and she was just fully in and she’s still fully in and she still super active. She’s lost way more weight than a hundred pounds and she’s completely change her life and that is a rare change but its r really what needs to be the goal and need to be what people emulate to better get rid of obesity in this country. James Lawrence: Yeah, I love hearing stories like that. In my opinion, a super and effective way to lose weight is to train for an Ironman. There are so many better ways to lose weight and get your life back and then train for an Ironman. There’s just completely different strategies. It’s just not the most effective way to lose weight, I would definitely use a different modality to take someone to try to lose a hundred pounds and then let’s go and have an Ironman journey. 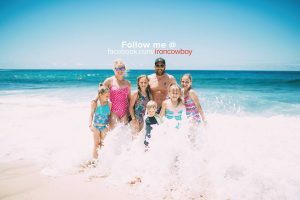 I think it would be far more enjoyable you’d see far greater success and you would learn what you need to learn because to train for an Ironman is a huge learning curve, to lose a hundred pounds is a huge learning curve. They’re different learning curves and you need to learn different things in order to be successful and I think that’s one of the contributors to why people fail is they’re putting way too much on their plate. They’re putting too much on their plate as far as what they’re expecting their self-control and their discipline to be able to accomplish Ironman goal and also lose weight. A lot of people of people to it and it’s achievable. I just don’t think it’s the most effective way to do it. Go lose the weight buy by effective methods and then let’s go have some fun, let’s go train for Ironman. Dr. Segler: Well it is all kind of related and it’s just about what’s possible, what’s not possible. 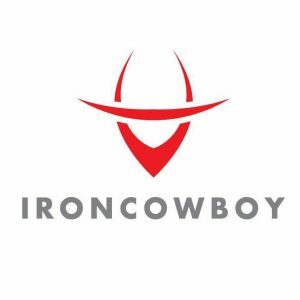 I know your book Iron Cowboy: Redefine Impossible kind of speaks to all these ideas and I know you’ve been getting great reviews on the book and because of the book you’re getting invited to speak with many business organizations lots of big companies because your whole story is so motivating and it cannot only help those of us want to do Ironmans and not get injured but also obviously can motivate people in the business world too. So what can you tell us about the book? 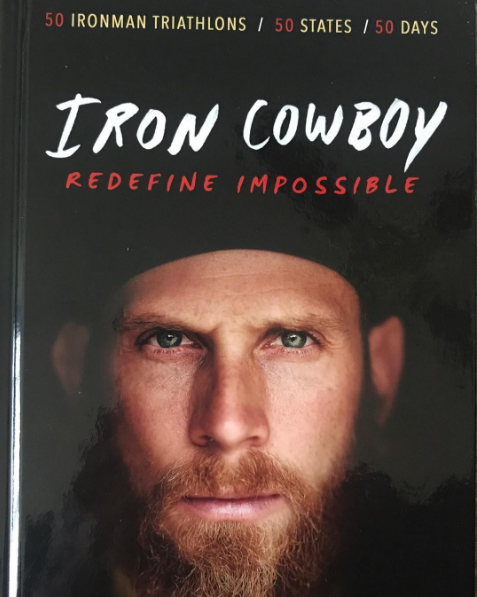 James Lawrence: Yeah, I think the book is a big surprise to people and it’s not just an athletic memoir, it’s not just about 50 Ironmans in 50 days. It’s about the back story and how we got to that moment. It’s about the people that we came across and the stories from the 50 and it’s not just like I said an athletic memoir. It’s about family, it’s about sacrifice, it’s about struggle, it’s about overcoming, it’s about resilience. The shocking reviews that we’re getting are the ones that are saying I had no idea this was part of your past or had no idea you came across this person and it’s amazing that they had that experience and so it’s just really cool for us to get the different feedback from how it’s impacting people and we branched out beyond just a triathlete wanting to read this book. We are having teenagers read this and business people read it and athletic people read it and then that was really good read it. It’s impacted me in this way and so it’s been a lot of fun for us to kind of produce a book that is about our passion and triathlon but it has so many different elements to it that’s appealing to such a wider demographic. But so how do people find you? Obviously you’re super busy, you’re coaching athlete and for those listeners who would like to meet you in person or get coaching help or help for their goal setting. How can they find you? What’s best way for them to reach out to you? James Lawrence: Yeah my website http://www.ironcowboy.co/ and that will link to all of our stuff. You can grab that, you can get the book there you can lean toward coaching there, you can click over all of our social media into our blog. I’m putting my speaking calendar on there and I’m booked all the way through May already of next year, speaking to 20 different countries. But once we got the calendar up if you see that we’re going to be in your area and you have a company or organization that you feel would want to hear a message and the story and trust me you think you know the story but you don’t and some of the best comments I get from my presentation is that they say “I couldn’t believe it within an hour you made me feel so many different emotions. You made me cry, you made me laugh and you empowered me to go do something incredible” and so those are some of the best compliments that I can get as a presenter and that’s why everybody asks me what’s next and I’m still competitive. I still love the sport I mean I did a 3 hour ride this morning and in the beautiful mountains of Utah with my wife and some friends and but what’s next for me is to go out and to continue to empower, impact people and the messages that we get really motivate me and make we want to continue to do this. It does provide a living wage family but what’s so cool is the messages and the feedback that we get after somebody hears it and goes on does something and what’s interesting is I don’t hear from these people for 6 months to a year after I’ve spoken to them or impacted them because they want to go do something and so I won’t hear from them for a while. But then I get a message that says you spoke to me a year ago and this is what it encouraged me to do. I went and did it and I just wanted to say thank you and those are the best messages that a person can receive knowing that you’re having that impact and can change in the course of individual lives who are looking for a change and support and wanting to do something different in their lives but that didn’t necessarily have the mindset of the knowledge of the power to be able to do on their own. Dr. Segler: That’s fantastic James! I’m really grateful for you coming to the show and I know you’ve got a super busy schedule. But I think that I certainly have enjoyed learning from you today and our listeners have as well but hopefully our listeners will get your book, they’ll read it. Those who can will try to arrange speaking engagements for their organizations as well. But everybody stay tuned because I’m quite sure that James is not done. I’m sure there’s some other outlandish event that is on the very near horizon that we should stay tuned to see what he’s up to. James Lawrence: Thanks for having me today.